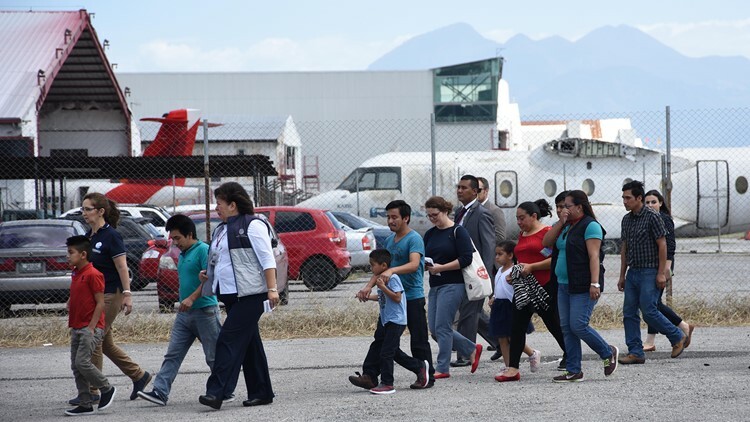 11 families who had been detained and separated returned home Tuesday to Guatemala aboard a U.S. government-chartered flight. Greeted by first lady Patricia Marroquin, they lined up on the tarmac, shuffling — their shoelaces had been taken as a security precaution. 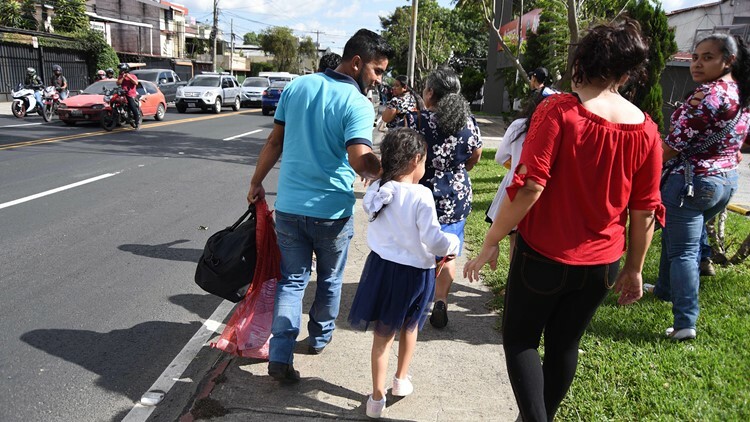 U.S. immigration officials handed over paperwork in manila envelopes to Guatemalan officials, The group walked single-file into a squat gray building at the country's military base to be processed back into their country, along with dozens of others also deported. 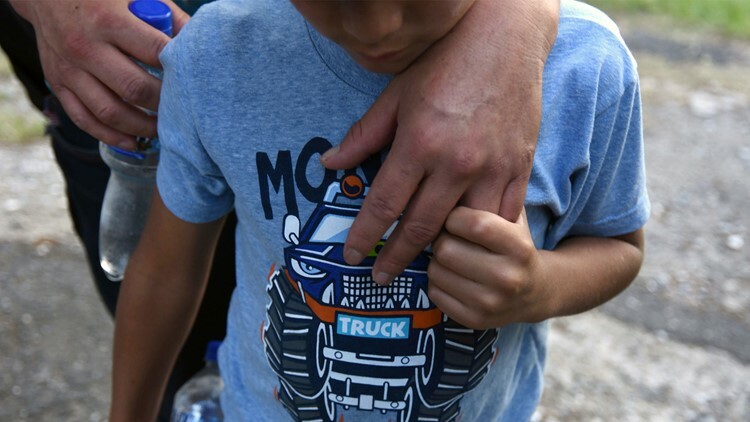 Members of Guatemalan immigrant families who tried to illegally cross to the United States, arrive at the Air Force base in Guatemala City after being deported on July 10, 2018.